SignUp Forgot your user id/password? Accessible Seating please click here tix@venablestheatre.ca or call 250.498.1626 and you will be contacted to arrange seating. Crowned #1 Best Elvis Impersonator in the World at The World Elvis Competition in Memphis! 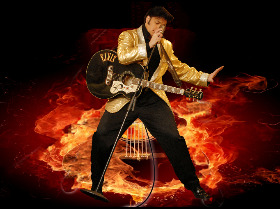 A NIGHT WITH THE KING Darren Lee IS Elvis! Crowned #1 Best Elvis Impersonator in the World at The World Elvis Competition in Memphis! Venables Theatre Powered by TixHub.